Foreign currencies like the US dollar and South African rand have been used for most transactions since 2009. Local dollars are not used except high-denomination notes sold as souvenirs. 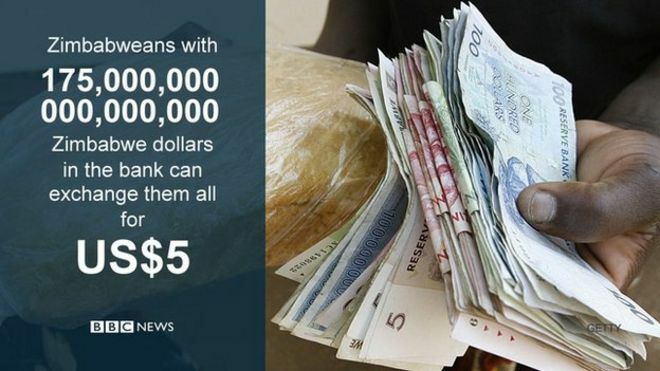 But from Monday, Zimbabweans can exchange bank accounts of up to 175 quadrillion (175,000,000,000,000,000) Zimbabwean dollars for five US dollars.